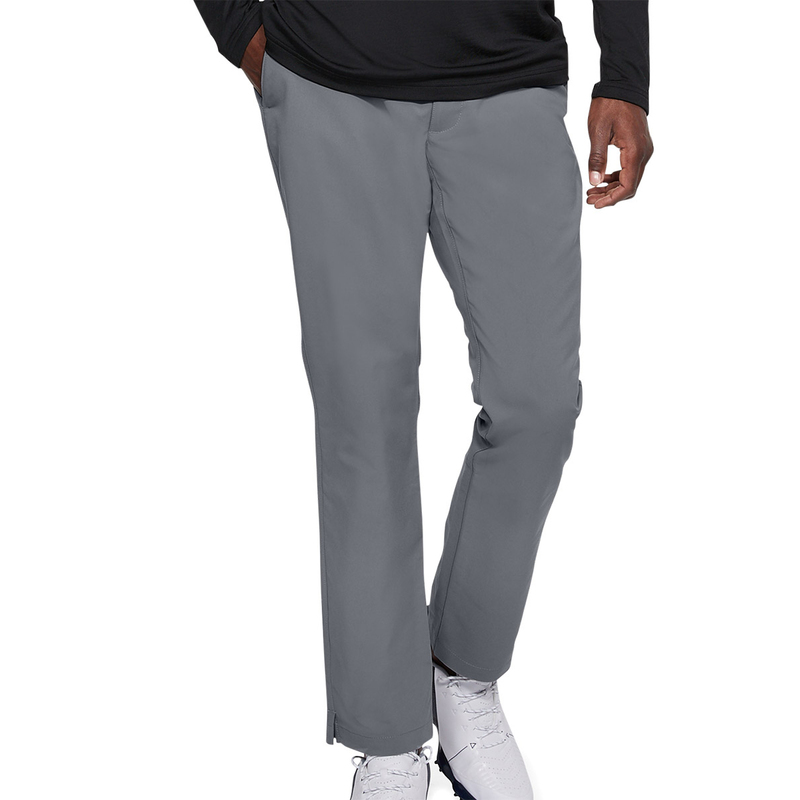 Boost your comfort and performance this season, with these highly functional and ultra stylish tapered trousers from Under Armour. 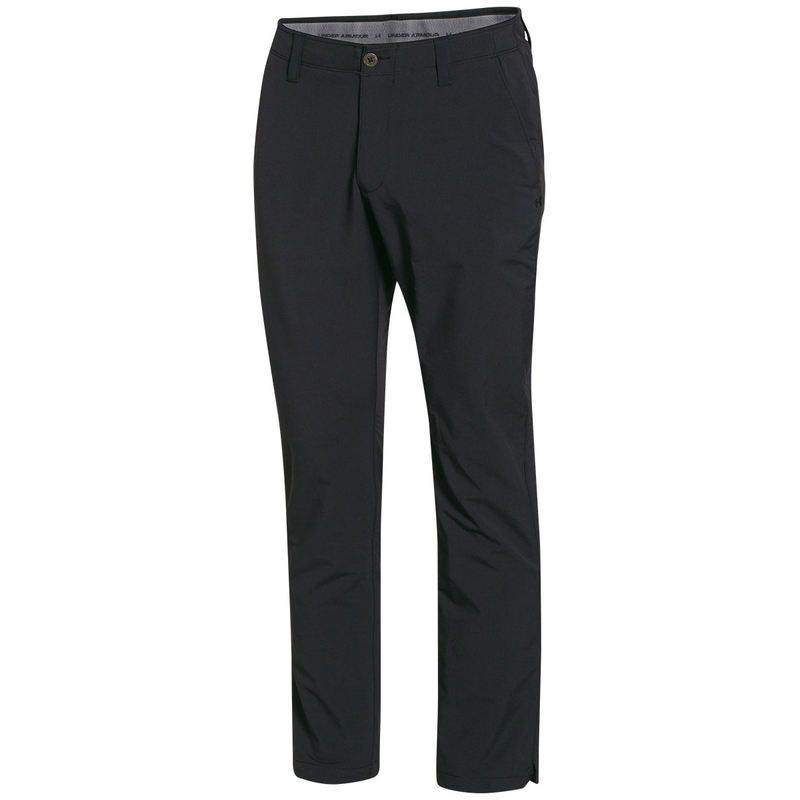 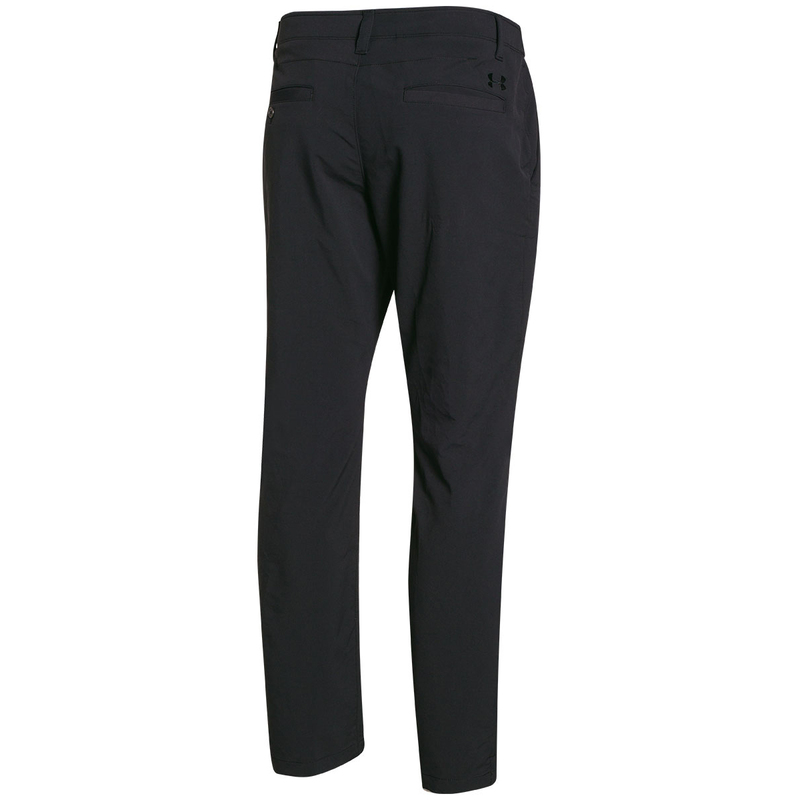 These pants have been created with a classic flat-front and feature 4 pockets for your valuables and accessories. 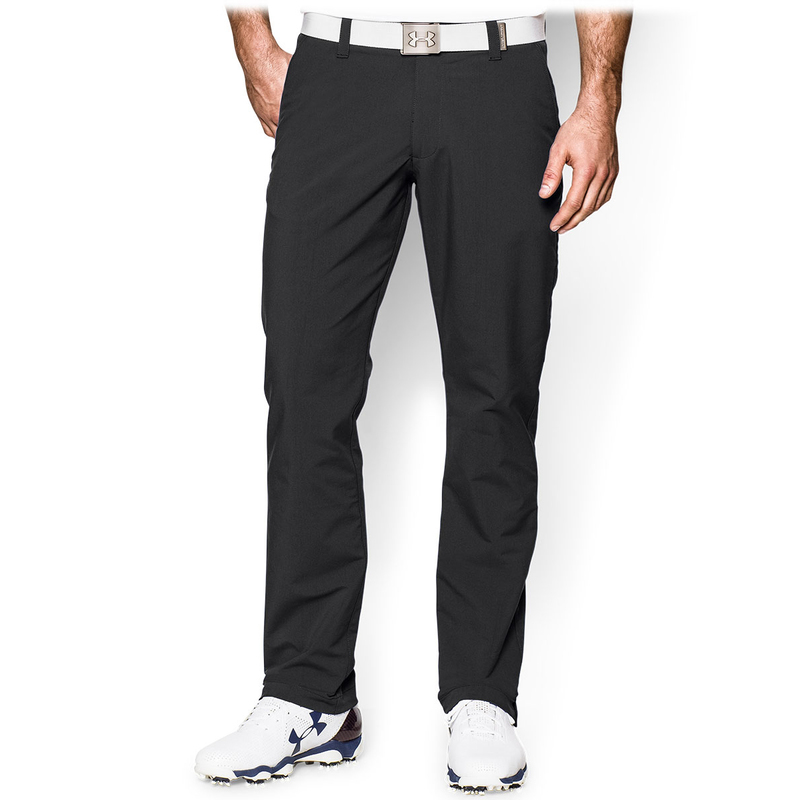 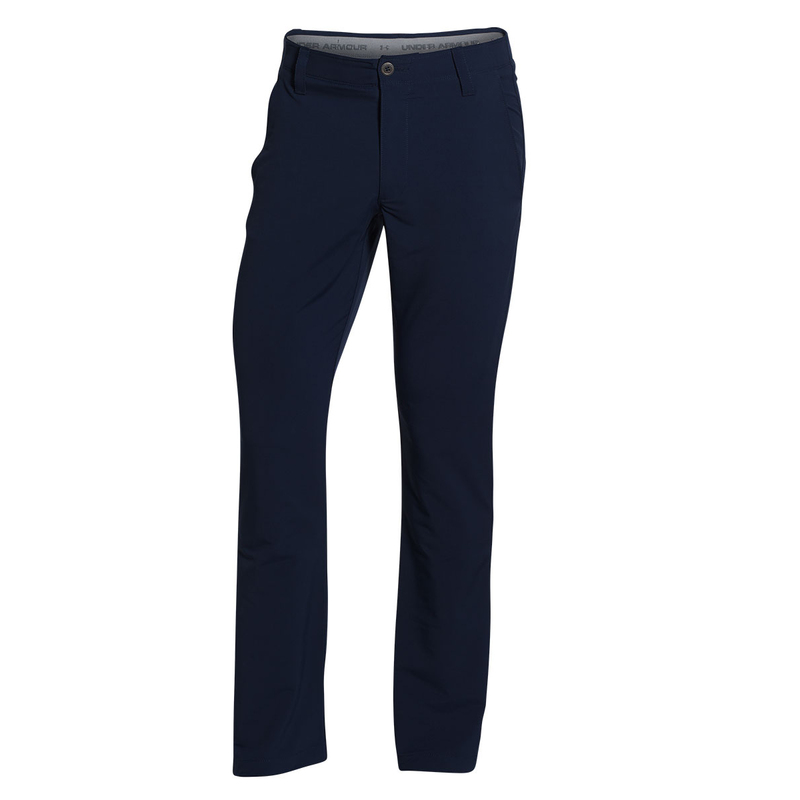 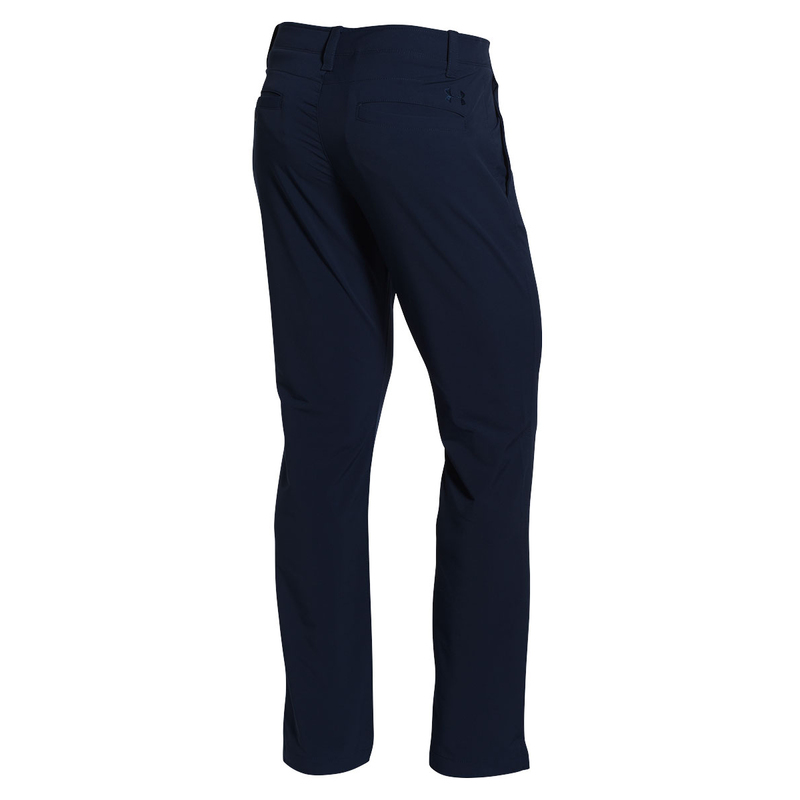 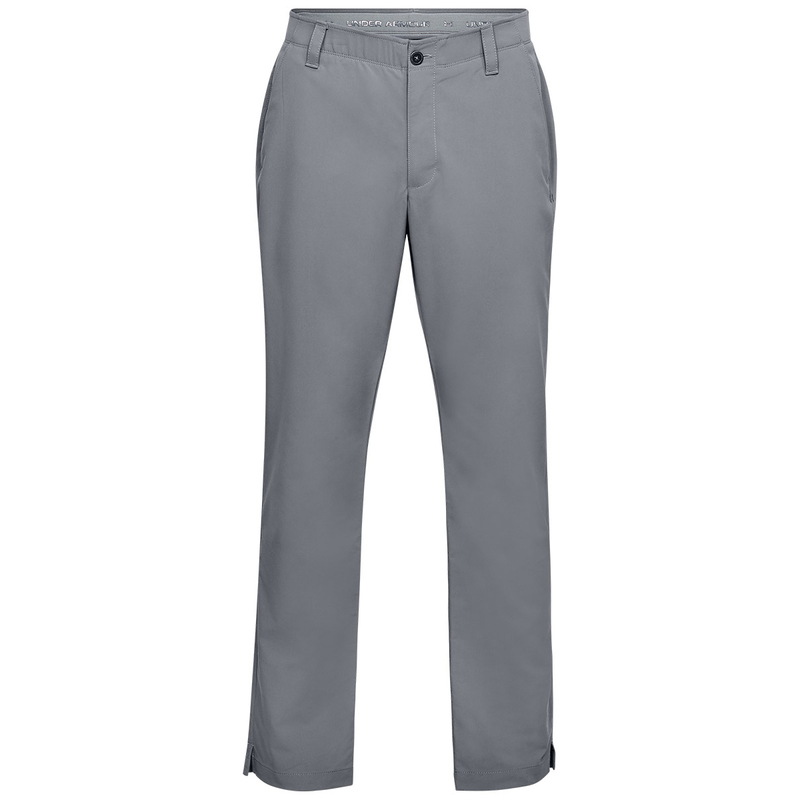 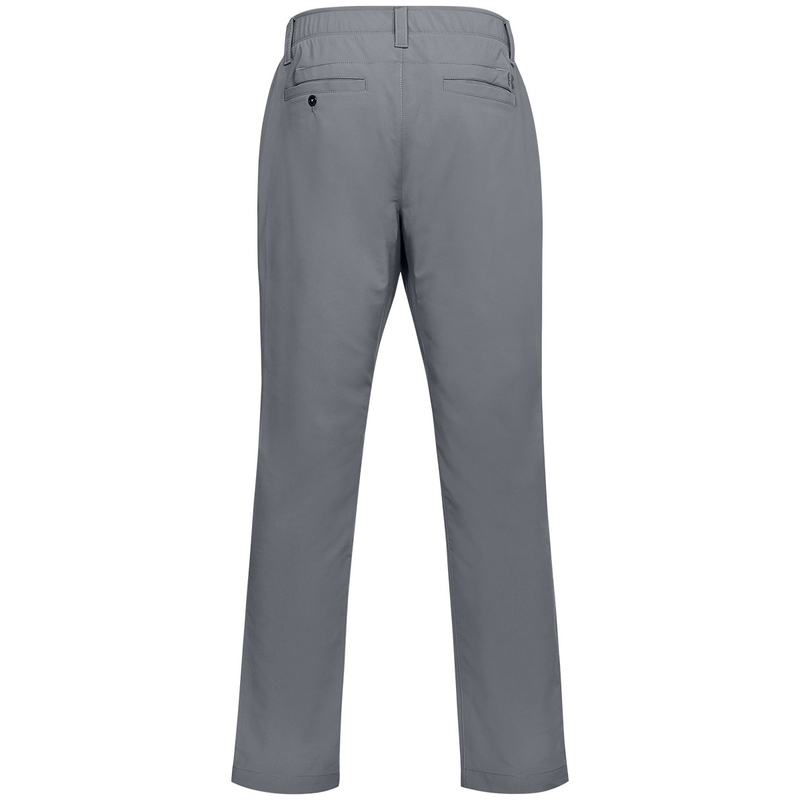 These trousers are comfortable to wear thanks to the soft and stretchy fabrics and waistband that offers optimal freedom of movement. 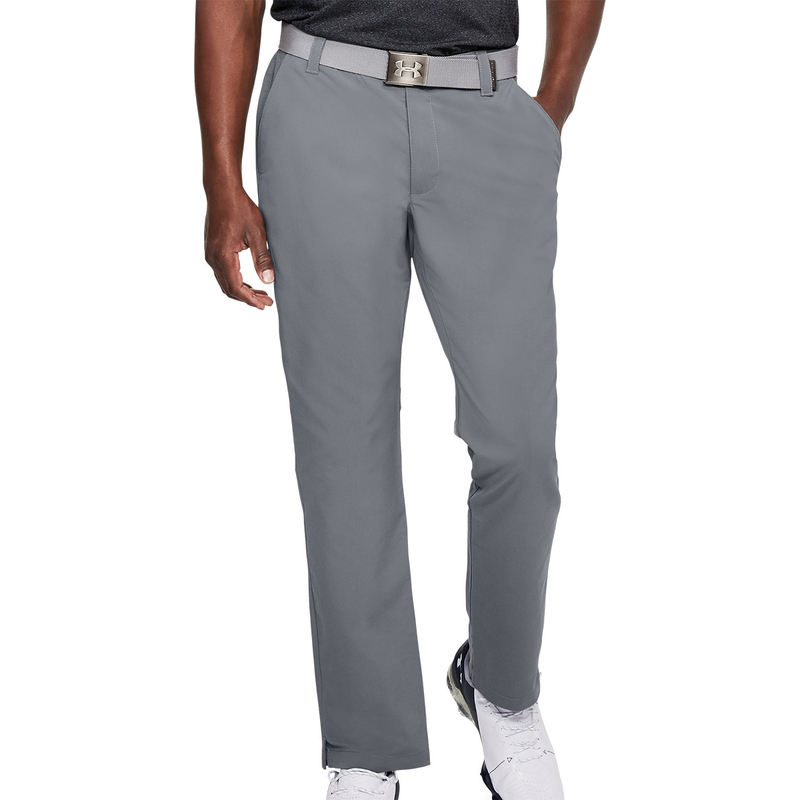 To ensure you remain dry from perspiration, a moisture transport system moves sweat away from the skin to the outer layer to evaporate quickly. 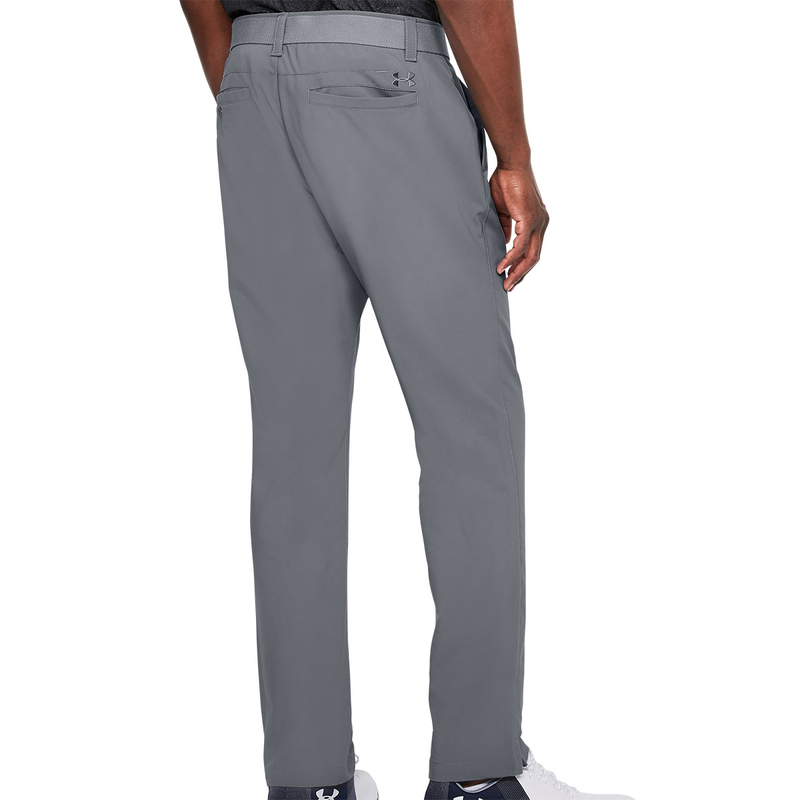 The design is complete with an embroidered UA logo is located under the left pocket.